There are many ways to get show your support of our mission and grounds. Your support helps bring the hatchery experience alive by providing tours, information, and visitor services to over 150,000 visitors each year. Visitors to the hatchery experience and educational closeup view of fish production and the history of fisheries and conservation in America. In addition, your membership helps with numerous other projects such as youth education programs and historical restoration of the grounds. 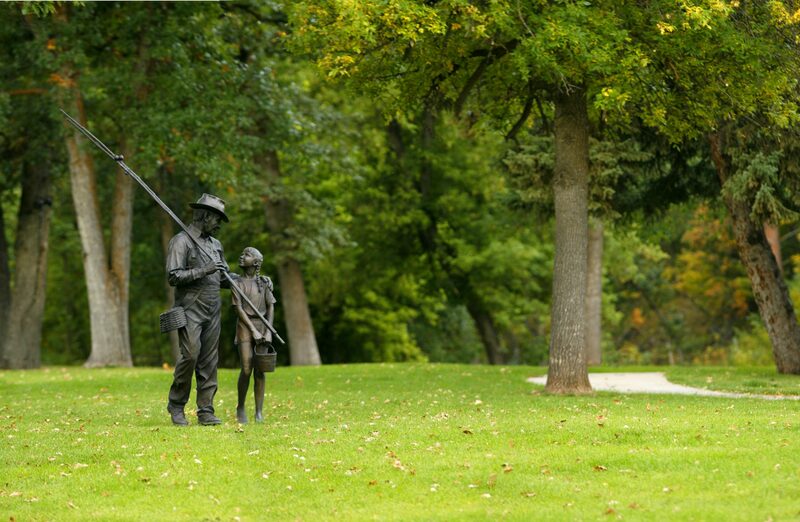 Established by the Booth Society in 2004, the Generations Fund is an endowment with the South Dakota Community Foundation to ensure that D.C. Booth Historic National Fish Hatchery exists as a free family attraction for generations to come. Donors to our endowment are recognized on the Generations Fund Brickwalk next to the Ice House on the hatchery grounds. Makes a great gift! Affirm your place in our nation’s history and provide a legacy for the future. Have your name, or that of someone you wish to honor, engraved on a brick. Each brick sells for (a tax-deductible) $100. The brick(s) will be placed into a permanent walkway near the Fish Culture Hall of Fame at the Hatchery. This fundraising is used to maintain the hatchery. Click here to download and fill out the form! We hope you’ll join the many who have pledged their support to the long-term preservation of D.C. Booth Historic National Fish Hatchery & Archives by donating to the Generations Endowment Fund. Your tax-deductible contribution can be made through a variety of financial mechanisms, including estate planning, and can be made at any time. To contribute or for more information, please contact Karen Holzer, Booth Society Executive Director, at (605) 642-7730, ext. 221 or director@dcboothfishhatchery.org. Or donate now through the SD Community Foundation by clicking here. 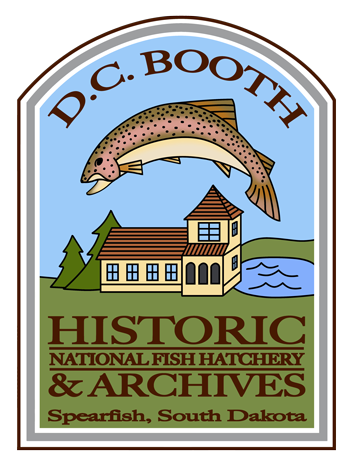 Show your support for D.C. Booth Historic National Fish Hatchery with fish license plates! Organization plates are available to anyone in South Dakota with a non-commercial vehicle. Go to your county treasure’s office to get them. If you want your new plates when you go to register a vehicle at your county treasurer’s office, no additional fees are charged. If you want organization plates AFTER you’ve already registered your vehicle, you’ll have to give your old plates back and pay a $10 fee to their county treasurer for your new organization plates. The county treasurer’s office will issue you blank organization plates. More information about organization plates is available on The State of South Dakota department of Motor Vehicles website or by contacting your county treasurer’s office. Use the “Donate” link above to pay for your decals – in the notes section be sure to put “license plates.” You can put your new plates on your vehicle while you wait to receive your decals. We’ll mail you your new decals in about a week. The cost of your decals is a contribution to the Booth Society and is tax deductible. Your donation will help promote, preserve, and enhance D.C. Booth Historic National Fish Hatchery.